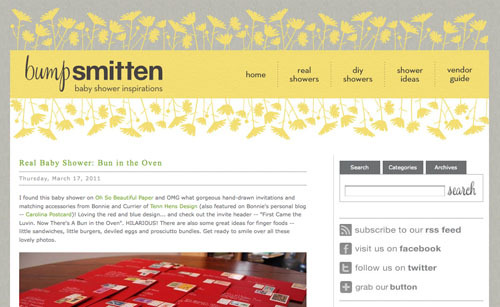 Some Friday fun… Tenn Hens is featured on Bump Smitten, an adorable baby blog, this week. They highlight real baby showers and have loads of cute ideas. Very cute, especially if there's a bun in the oven.